While being led away from the crime scene, Hakan spots something unexpected. To learn more about the Immortal, Kemal risks his status and much more. How many episodes of The Protector have you seen? Yaman,who lives in one of the Istanbul's suburbs,is arrested and put in jail along with his brother Kenan for his brother stole a car at a gas station.Yaman gets a chance for a brand new start when he meets a lawyer Selim who takes Yaman to his new home. The story of those who pursue passion, those who fly at the expense of burning, and those who stand up against life in pain. Kemal: You're the last guard. Q: Who did the voice over work for the English dubbing? The only way to review foreign titles on the international market is directly and honestly. Too many reviews will be by patriots of their country and to be fair that can be expected, but we all need to know the broader perspective! So, to start, it is in Turkish with English subs. I watch a lot of international titles and if you can handle sub titles, then you are doing yourself proud, because there are many excellent stories out there if you can! The main character is above average in the way he presents as a lead hero. I say that, because when you look his character he is a historical hero, not a superhero, ( though he does have superpowers! ) This makes him different from Iron Fist, Luke Cage, Dare Devil etc etc. His acting is excellent, he is solid, believable and credible. And above all, LIKEABLE ! The acting is very good generally and easily on par with anything produced in the West, (bearing in mind this is a Netflix sponsored production). The characters are well rounded and present very well. 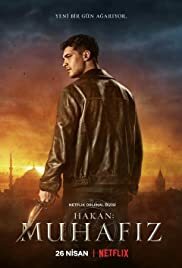 The filming is average an again on par with Western production, but not over emphasising 'breath taking' back drops to divert from the story or to ram Turkish culture down your throat. Many foreign productions do seem to do that as if tourism is more the angle than the story itself! All in all the premise of the story is good and I have found the flavour of the whole show enjoyable and most importantly NOT CHEESY !! If you want low quality cheese the watch BLACK LIGHTNING. 180 of 263 people found this review helpful. Was this review helpful to you?